#GivingTuesday - we need your help to #give! We are all so focused on the Black Fridays and Cyber Mondays, but we hoped you might help us help others on #GivingTuesday! This holiday season, we are donating on behalf of our customers to a worthy charity, and on December 1st, Giving Tuesday, we would like your vote on Twitter to tell us which worthy cause to support. 1. Follow us on Twitter: https://twitter.com/Salsify Do it right now, before you forget. I’ll wait. 2. 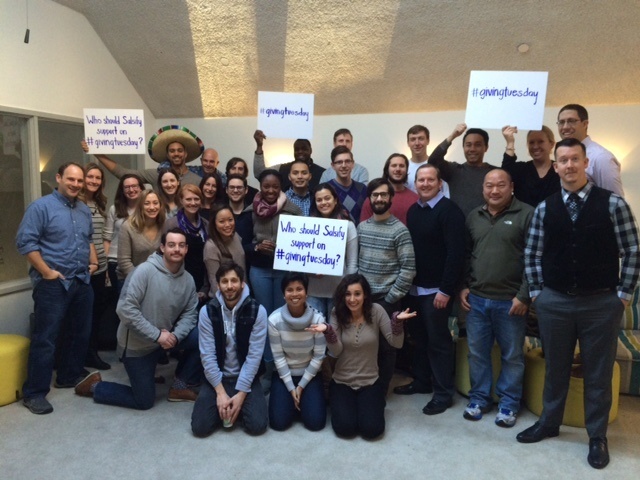 On #givingtuesday, December 1st, we will tweet out a poll with a few options of nonprofits that our employees love. 3. You vote, and we will direct our funds towards the winning non-profit. Thanks for taking a minute to add your voice. We appreciate our customers so much, and look forward to expressing our appreciation to a worthy nonprofit in their name.